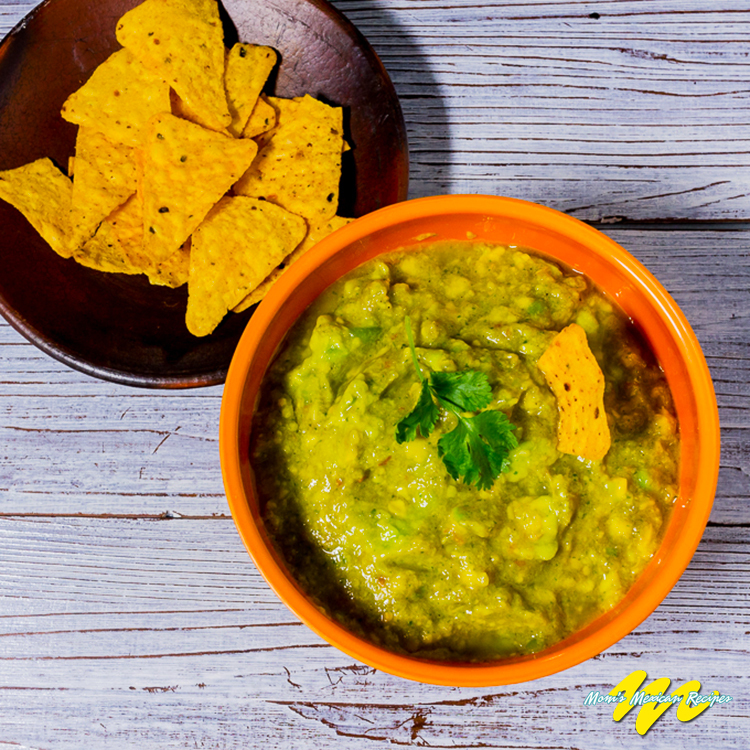 This Guacamole Recipe dip or appetizer always ranks among the all-time favorite in the culinary tradition.There are two main reasons for this universal popularity. First, it is quick and easy to prepare with ingredients easily accessible. And second, Guacamole served with tostadas chips represents a marvelous prelude to the main course. The age-old delicacy of Guacamole is one of Mexico’s most beloved and popular foreign export. It is a natural and wholesome food that requires a combination of easily acquired ingredients. Guacamole and chips form a terrific combo, but there are some additional ways to enjoy the avocado concoction. Spread guacamole on a tortilla when creating a wrap. Substitute guacamole for mayonnaise as a sandwich spread. It is tasty with chicken or turkey. Use guacamole instead of salad dressing in a chicken or turkey salad. Serve guacamole with grilled meats, poultry, or fish. 1 tablespoon fresh lime juice or lemon juice. Place avocado pulp in a medium bowl. Using a fork mash the pulp with the lime juice - mixture will be slightly chunky. 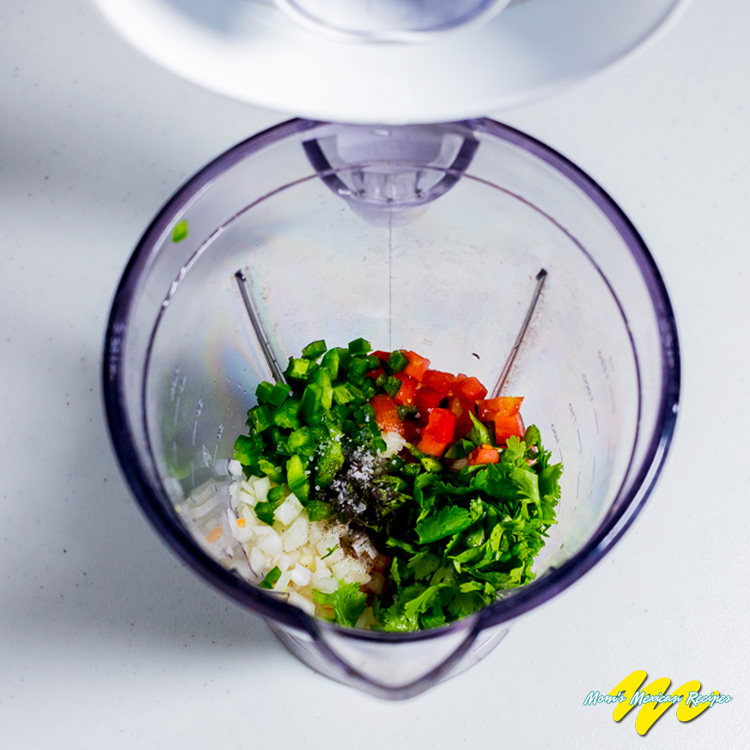 In a food processor or blender, combine tomato, onion, cilantro and chili peppers. Process or blend until finely chopped -guacamole tastes harmonious when all the flavorings are finely chopped. Stir blended mixture and salt into mashed avocados until combined. To serve, scoop into a decorative bowl. Guacamole is good when freshly made, but it tastes even better when the flavors are allowed to mingle for about 30 minutes. 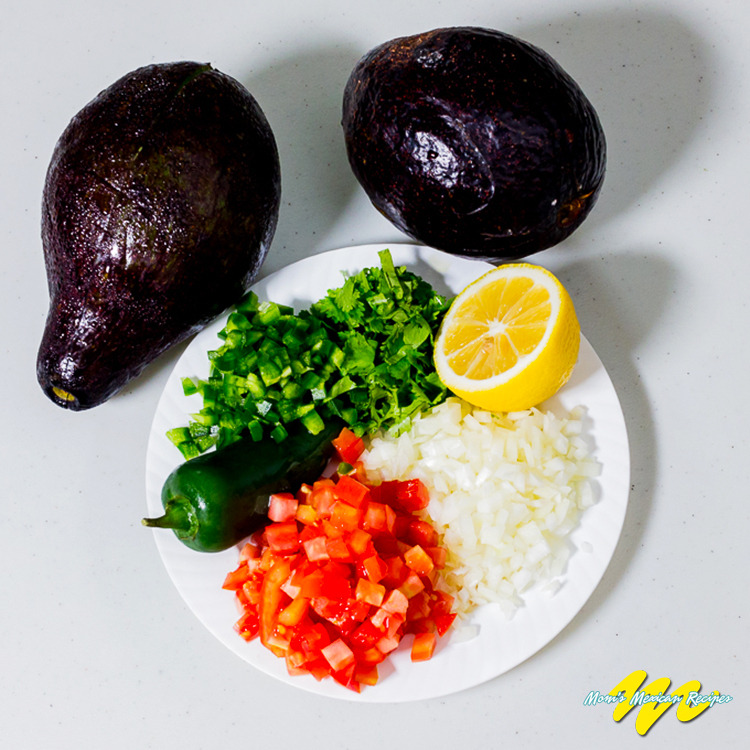 The kind of avocado that works best for Guacamole Recipe is the Hass avocado, often called simply “California avocado” in the market. It has several things going for it. 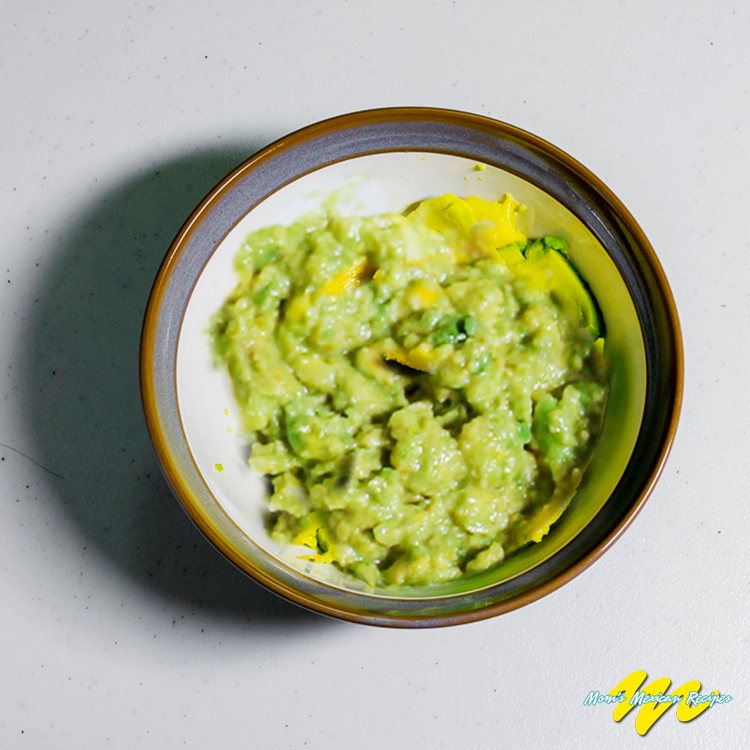 First, a Hass avocado has richness that translates to luscious, thick guacamole. Second, it holds beautifully for several days in the refrigerator once it is ripe. Third, it oxides more slowly than the other varieties. And last, it has amazingly good, concentrated flavor. Refrigerating ripe avocados, except the Hass variety, risks the flesh darkening. 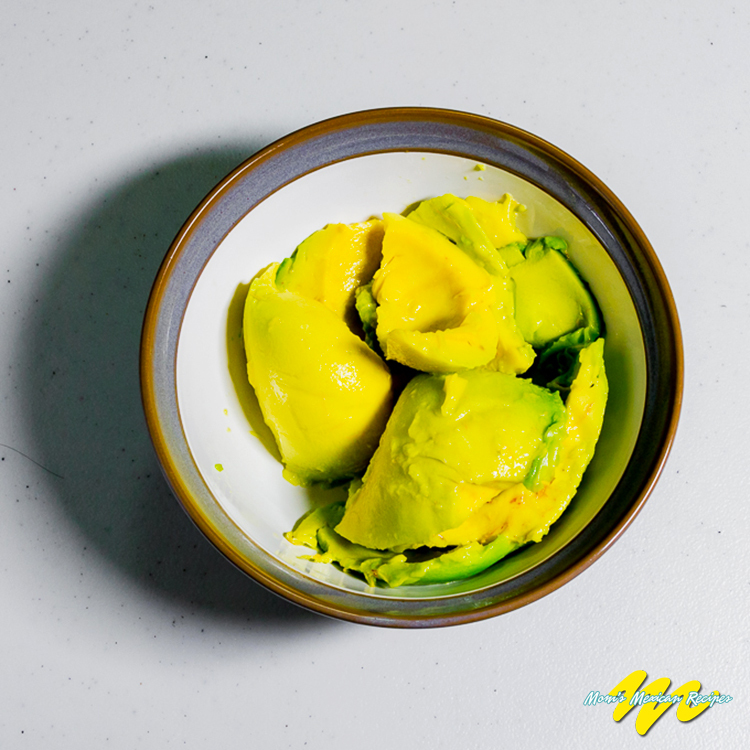 Refrigerating ripe Hass avocados will keep perfectly for 3 or 4 days. Using white onions and rinsing them under cold water before stirring them in ensures a crisp onion flavor that will not dominate the avocado. AVOCADO – This fruit is rich in vitamins E and D and contains a high amount of fiber and minerals. It is a rich source of potassium, calcium, and magnesium. Avocado helps to fortify the bones and works to avoid the formation of intestinal gasses. TOMATOES – Rich in potassium, vitamins C and A, and are in the category of antioxidants. This helps them preserve muscle tone. They help to lower the risk of heart disease and cataracts. CILANTRO – Improves and strengthens urinary valve function.